Here is a circuit that uses a mosfet amplifier as the main booster, or the basis of this booster Amplifier. 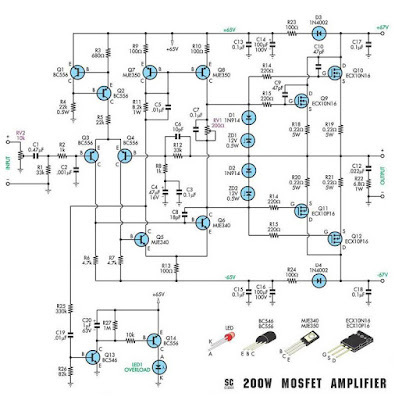 Circuit which uses MOSFET Power Amplifier is powered by the output more than 200W Speaker 8 Ohm impedance. 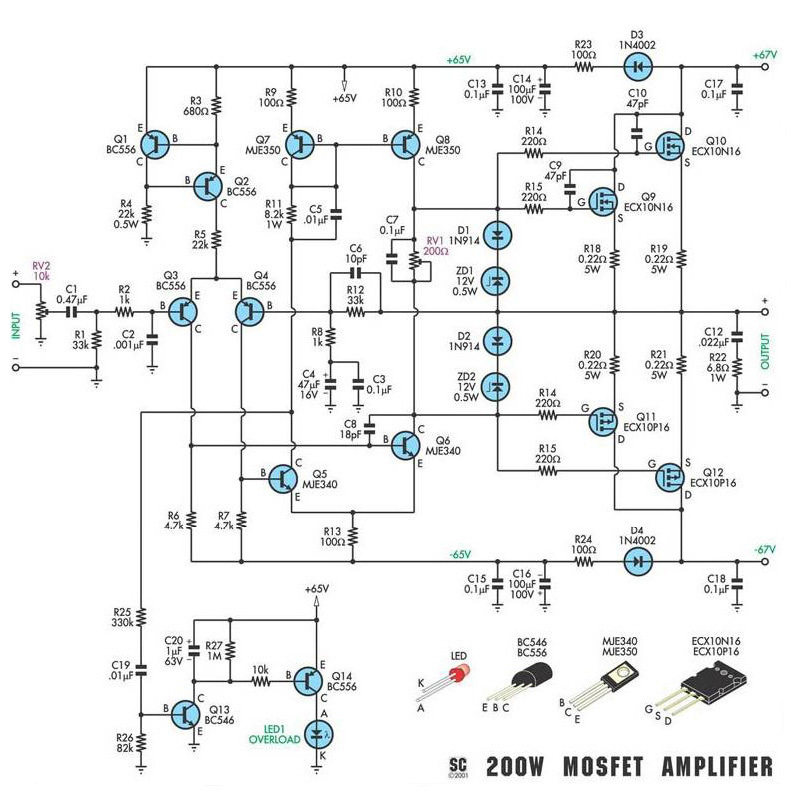 We also include a suitable power supply circuit with the use of MOSFET amplifier with 200W of power, not only of his course Schematic diagram for the layout design is also already there.